The village wine has a fine, full, purple colour, with punchy, heady fruit which is well integrated with the oak on the nose. This makes a really lovely mouthful – not only classy but very seductive with a friendly finish. Sadly there is no more wine here than in 2013 after a poor flowering. 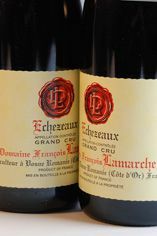 Nicole Lamarche picked from 16th September until the 22nd, reporting no problems in vinification or élévage and opting for a light touch in vinification, noting that each wine is very different from the others this year. This is another fine range from the Lamarches, offering sensible value for money. We cannot remember tasting a young Grande Rue as magisterial as this, which shows itself to be head and shoulders above the rest of this excellent range. Impressively rich purple in colour, this offers a very pure nose, with great intensity and there is plenty of structure behind without dependence on new wood. Astonishing length of flavour, really complex as well. The nobility of this wine really stands out in 2012. 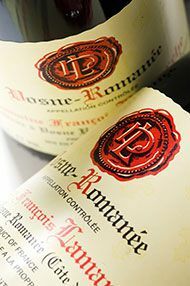 Nathalie Lamarche recalls that the harvest began on 22nd September with acceptable yields in the Vosne-Romanée vineyards, about the same as for 2011. In vinification Nicole Lamarche uses a small proportion of whole bunches, while the amount of new wood in the barrel cellar has been reduced to a maximum of 50% for the Grands Crus. This is the best selection of wines that Nicole Lamarche has produced since taking control of the winemaking in 2007. In short, a really fine range. The Lamarches own three plots, and having experimented, Nicole likes to use all three in the blend. The 2012 has lovely fruit and a great deal of energy, beautifully proportioned right across the palate, the fruit goes right to the back. Very good indeed. 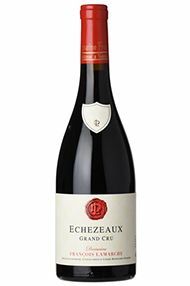 The 2012 Echezeaux impresses with a rich deep purple colour and a sensationally seductive nose. However it is tight and backward in the mouth, with plenty of tannic structure, though this will come round in due course. There is a huge amount of fruit behind, with amazing length and density. A lovely purple colour, with perfumed, delicious fruit and very engaging, dark raspberry notes. The quality of the fruit is delicious and the texture very suave, with impeccable balance. There is a suitable touch of tannin at the back and a notably long finish. A purposeful, dense red with an impressive volume of fruit surging on the nose. This wine has more of everything but also has a much firmer structure. It should build into something quite special but on tasting is was very backward indeed. New oak helps the floral notes develop and it actually keeps on growing in the glass. Significant potential here. Harvest began 6th October, the grapes in surprisingly healthy condition given the weather, allowing Nicole to use some whole bunches. There is a tiny bit more wine than in 2011 and 2012 but a really poor flowering reduced the crop and spun out the flowering. In vinification, Nicole opted to extract less than in other years. The Grands Crus are sold in wooden cases. A brisk purple, this has a very stylish bouquet, though there is not yet much detail showing – but it is subtly stylish, with a certain velvet touch. Totally characterised by red fruit, it’s quite intense especially at the back of the palate, though it is well balanced and long. Discreet but charming. Glowing a fine deep red to purple and with plenty of depth to the fruit, Les Suchots is particularly good this year. It is elegant and suave on the palate before an excellent finish. With Nicole Lamarche firmly in charge, the domaine has converted to organic farming, and the recipe in the cellar this year was for a long vinification but less extraction. The wines have spent twelve months in barrel (with 30% new wood for the village wine and up to 60% for Grand Crus) before being transferred to vat. Sadly, many of the Vosne-Romane vines here did not make it through the winter, so there is no village wine this year for us in 2010. Otherwise, expect attractive wines in 2010 with excellent typicity. The bad news at Domaine Lamarche is that the 2011 crop is actually less than 2010. 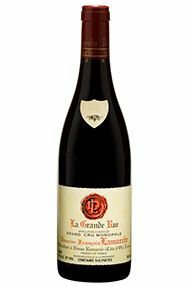 We have done our best to keep prices stable, though the price of La Grande Rue has deservedly increased this year. Everything else is good news; Nicole Lamarche, assisted by her cousin Nathalie, is steadily growing in assurance, delivering an excellent set of wines this year. She continues to reduce the amount of new wood used while the vineyards, which are now farmed organically, are getting the care and attention that they need. The future is in good hands. The heightened fruit and perfume of this wine make it very stylish indeed. It has real weight behind with excellent acidity and a fine, long finish. This cannot be faulted. Exuding sumptuous, supple, fresh, fruit, this is very delicious with a fine, mineral acidity and a generous mouthfeel. Lamarche always makes a lovely Echézeaux. Jasper Morris MW, Berrys' Burgundy Director The bad news at Domaine Lamarche is that the 2011 crop is actually less than 2010. 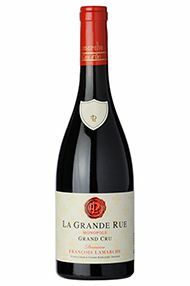 We have done our best to keep prices stable, though the price of La Grande Rue has deservedly increased this year. Everything else is good news; Nicole Lamarche, assisted by her cousin Nathalie, is steadily growing in assurance, delivering an excellent set of wines this year. She continues to reduce the amount of new wood used while the vineyards, which are now farmed organically, are getting the care and attention that they need. The future is in good hands. There is a crushed leaf character to the subtly spicy red currant and raspberry aromas. The appealingly detailed middle weight flavors exude a touch of minerality before culminating in a moderately long finish that is shaped by notably fine-grained tannins. At present there is only average depth but if it can add more during its in-bottle evolution my score could be conservative as there appears to be good underlying material. feminine touch to this ameliorating domaine. Fine and full-bodied, lively yet with mouthfilling fruit, Lamarche's Clos de Vougeot Grand Cru is a very complete wine which combines ripe fruit with a fresh vivacity. Displaying bright red fruit, this is very vibrant with lots of energy. 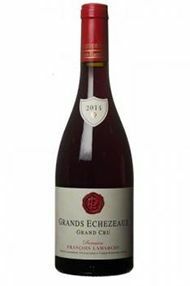 There is a ripeness and sweetness not present in some of the earlier wines, though it is still very much about the red fruit. Quite a big mouthful with perfectly balanced structure. A fine point of acidity, far from excessive, this has the potential to be very good. A pure, fresh, deep purple, this has suggestions of great class on the nose, but nothing really wanting to give. Then it has amazing suavity on the palate, with good structure behind but the fruit dominates the tannins easily. Very long, pure, red fruit and blood orange on the finish. A beautiful pale pink colour with lovely rose petal notes on the nose, this is understated, fine-boned but actually very good. Blood orange notes included in the red fruit. 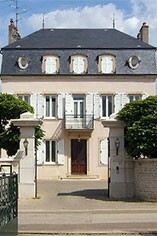 This monopoly of Domaine Lamarche sits between La Tâche and Romanée-Conti. The bouquet of the 2009 La Grande Rue Grand Cru is absolutely stunning, displaying intense, yet refined red fruit, overlaid with some new oak in perfect harmony. Little waves of flavour float across the palate and soft, charming red fruit is backed by a delicious fresh finish with acidity and tannin perfectly integrated. This is not a blockbuster but it is exceptionally fine. Expect a long future. Rich and deep purple in colour with an exciting, heady nose, this Clos de Vougeot Grand Cru from Domaine Lamarche is a complete, harmonious wine which swells to a sublime finish. Some detail is beginning to show and it is already possible to make out distinct layers of black fruit. This is bright, full purple, with magical detail in the bouquet. The intensity is clearly there, albeit restrained. The wine is backward but nonetheless indicates a sensation of multi-layered detail beneath the pure red fruit background. There are subtleties of texture here too. The wine is currently showing its oak but that will integrate easily enough. The wine has attractive points of acidity, rather than tannin, to complete the balance. Drink 2025-2038. The Lamarches began on 10th September, picking over six days and realising better yields than in 2014. This year Nicole Lamarche has been able to make exactly the wines which she wants to make, avoiding deep extraction while using around 30 percent whole bunches. Do not expect dark colours and overt concentration, but if your taste is for elegant, floral, eventually ethereal wines then this is the place to be. A deep pinky-purple colour with a flamboyant, heady yet still graceful nose, this wine combines delicacy and density. Very appealing. The fruit register is mostly raspberry and there is the requisite intricacy on the palate, perfect integration of acidity into the fruit, with low-key tannins behind. Very persistent. Drink 2023-2033. The long thin strip of La Grande Rue, the Lamarche monopole, is the ham in the sandwich between Romanée-Conti and La Tâche. There was no frost here at all. The impression now is of something meatier, stronger, richer, but also layered and detailed. In the final analysis, ineffable. A worthy conclusion to a beguiling flight of wines. Drink 2025-2040. Domaine Lamarche today produces 14 different wines from 11 hectares. 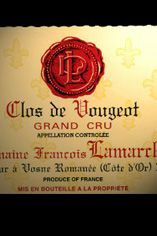 Ancestors of the Lamarche family were already living in the village of Vosne-Romanée in 1740, though the domaine was really established in the early 20th century. Henri Lamarche, born in 1903, received La Grande Rue in 1933 as a wedding present. Henri was succeeded by his son François and now his granddaughters; Nicole in charge of winemaking and Nathalie on the marketing side. As well as more meticulous work in the vineyards, better barrel selection and a new cuverie (since 2000) have combined to make this a fine and consistent domaine. This was a vintage to truly deliver Nicole Lamarche’s ambitions. Already on a road to make the most delicate, ineffable expressions of Pinot Noir – organic, unfined and unfiltered – this year the quality and health of the fruit has allowed her to eschew new oak as well. There is a policy to use 30 percent whole-bunch throughout the range. For Nicole this is a spiritual vintage, the quintessence of Pinot Noir, whose core she has tried to express through the extraordinary collection of terroirs she has under her, and her cousin Nathalie’s, stewardship. But, tragically, frost has reduced the domaine’s total yield by half and their Les Suchots was practically wiped out with an 80 percent loss. This is made from five different plots. 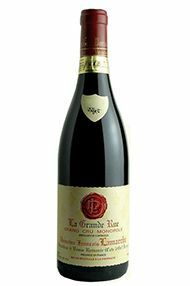 The nose has a charming, red-fruited perfume, while the palate is pure strawberry, with wonderful creamy and silky tannins giving way to a salivating finish. 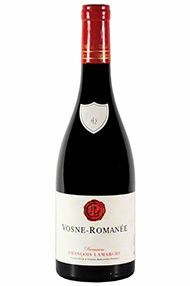 Delicate and elegant Vosne. Drink 2021-2026. After the frost of 2016, Nicole feels that the worst-affected parcels struggled somewhat this year, meaning Suchots and the lower part of Clos de Vougeot are less plentiful than she had hoped. Despite this, she believes her organic viticulture is useful in making the vines more resilient. 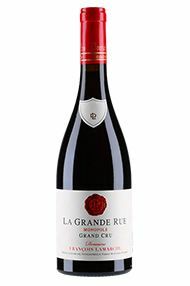 The winemaking follows the now-established pattern of around a third whole bunches across the range, with new oak reaching 50 percent for La Grande Rue. Nicole is particularly fond of the 2017 vintage, praising the wines’ energy, elegance, ripe tannins, long finishes and, above all, balance.